Ed-tech startup Byju's has raised $50 million (Rs 332 crore) in a round co-led by Chan Zuckerberg Initiative (CZI), marking the first investment of the philanthropic foundation of Facebook founder Mark Zuckerberg and wife Priscilla Chan in Asia. Times Internet Ltd, part of media conglomerate Times Group, and existing venture capital investors Sequoia Capital, Belgium-based Sofina and Lightspeed Ventures also invested in this round. CZI and Sequoia jointly led the round, the startup said in a statement. VCCircle had exclusively reported in July that Byju's was set to raise up to $50 million from new investors as part of plans to expand outside India. The funding round comes just six months after Byju's, incorporated as Think & Learn Pvt. Ltd and which provides tuition for K-12 students through its app, raised $75 million. The two rounds make Byju's the most-funded ed-tech startup in India by a wide margin. The new round also comes at a time when startups across sectors in India are feeling the pinch of a constrained funding environment as investors turn cautious after a bullish 2015 and focus more on profitability instead of growth and market share. As part of the latest round, CZI's Vivian Wu will join Byju's board. "The Chan Zuckerberg Initiative supports innovative models of learning wherever they are around the world," said Wu. "Education can give young people and their families a path to a better future, and families in India work hard to give their children that chance. Byju's represents an opportunity to help even more students develop a love for learning and unlock their potential," she added. Byju Raveendran, founder and CEO of the startup, said the funding will help the company move forward on its next stage of growth. The latest round, however, didn't include any investment from International Finance Corporation. The World Bank's private-sector investment arm had said in July that it was considering investing $15 million in Byju's. Meanwhile, the company said its app has been downloaded more than 5.5 million times and reached 250,000 annual subscribers across India. 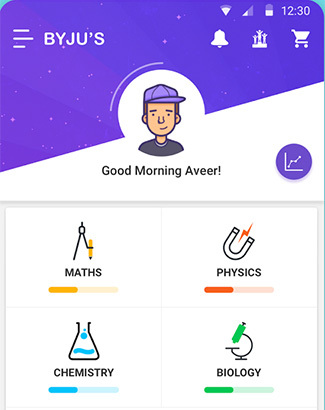 Byju's is building a new tech-enabled educational product targeting school students in English-speaking countries such as the US and the UK and commonwealth countries such as Australia and South Africa. Byju's claims to be profitable in the domestic market. Strong growth at the startup founded five years ago by Raveendran, who hails from Azhikode, a small village in northern Kerala, has offered rich dividends to its early investor Aarin Capital, which part-exited with high returns earlier this year. Avendus was the adviser to Byju's in the latest funding round.